The geographic area that is present day New Brunswick encompasses parts of the traditional homelands of the Mi'kmaq, Passamaquoddy and Wolastoqiyik. For more than a century and a half, the New Brunswick Museum has collected examples of fine and decorative art as well as written documentation relating to the presence of these three aboriginal groups. 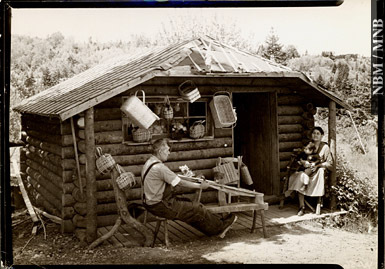 In addition, the New Brunswick Museum is fortunate to house approximately 175 images dating between 1860 and about 1950 that provide a visual point of access into many aspects of the daily life and history of the province's First Nations citizens. This selection of images comprises a number of disparate groupings from within the photography collection proper. 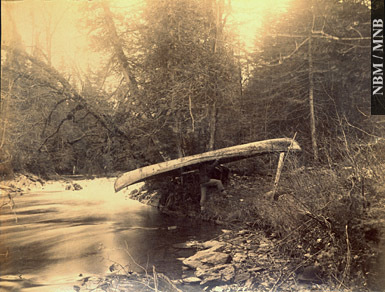 Almost twenty-five percent of the images are the work of George Thomas Taylor (1838-1913) who was one of the most prolific professional photographers in nineteenth-century New Brunswick. 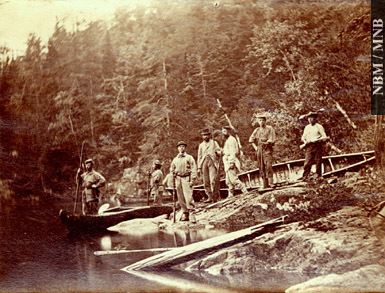 In 1863, Taylor was commissioned by Lieutenant Governor Arthur Hamilton Gordon to document various provincial locations. 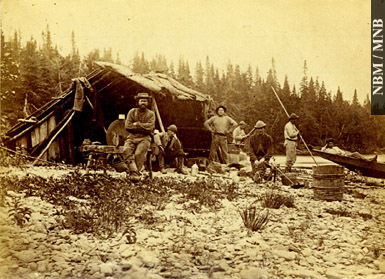 To accomplish this, Taylor travelled extensively by canoe and was assisted by aboriginal guides. Consequently, the results are many of the earliest images of the New Brunswick landscape as well as its aboriginal citizens. Other images have been selected on the basis of content; either aboriginal equipment or manufactures is in obvious use. In some cases, especially where obsolete technology was used such as glass lantern slides, the only known copy of particular images is being reproduced and made available for the first time in almost a century. In some cases, the New Brunswick Museum may house more than one copy of an image. In these cases, for the purpose of this exhibition, only one image, usually the best quality print, has been included. The historical images contained in this exhibition reflect the time in which they were produced. By current standards and the practices of the New Brunswick Museum, some terminology and phrasing of titles may offend contemporary sensibilities. However, in order to provide an accurate record of these artifacts, the original wording has been retained where necessary.